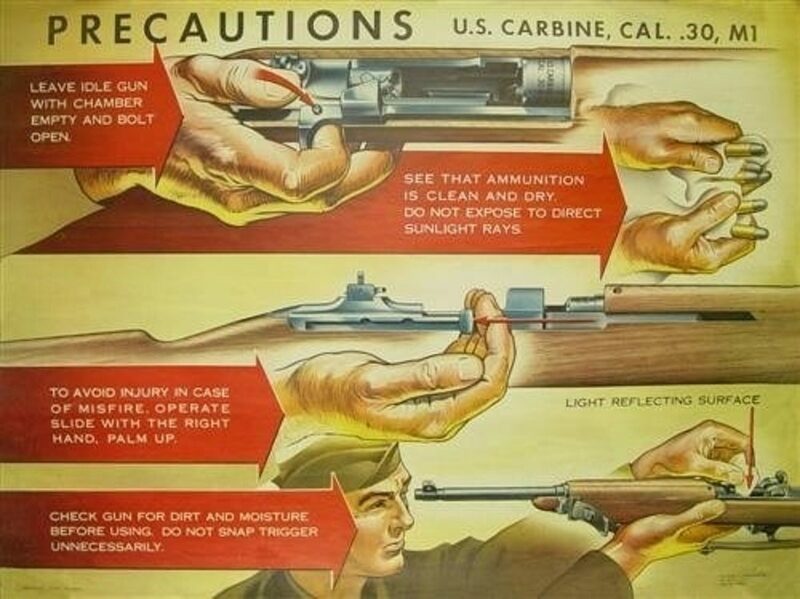 The American .30 M1 Carbine was developed as a reduced size semi automatic weapon to have a high firepower in close range. The carbine is shorter and lighter then the M1 Garand rifle, the standard main battle rifle of the US Army in WWII. It was to be produced in larger quantities than any other US small arms in the second World War. Production began in August 1941 through to August 1945, accounting for over 6 million rifles, produced by 10 main contractors. 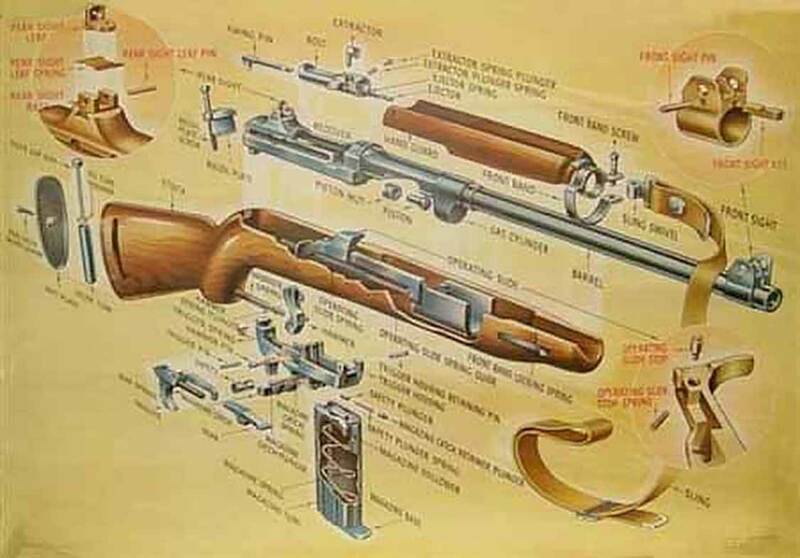 The origin of the weapon began in June 1940, with the proposal of a light rifle, mainly for the use of rear echelon and support troops: MP’s, medics, officers, and any other personnel considered at risk for attack but unable to shoulder the full-size Garand rifle. 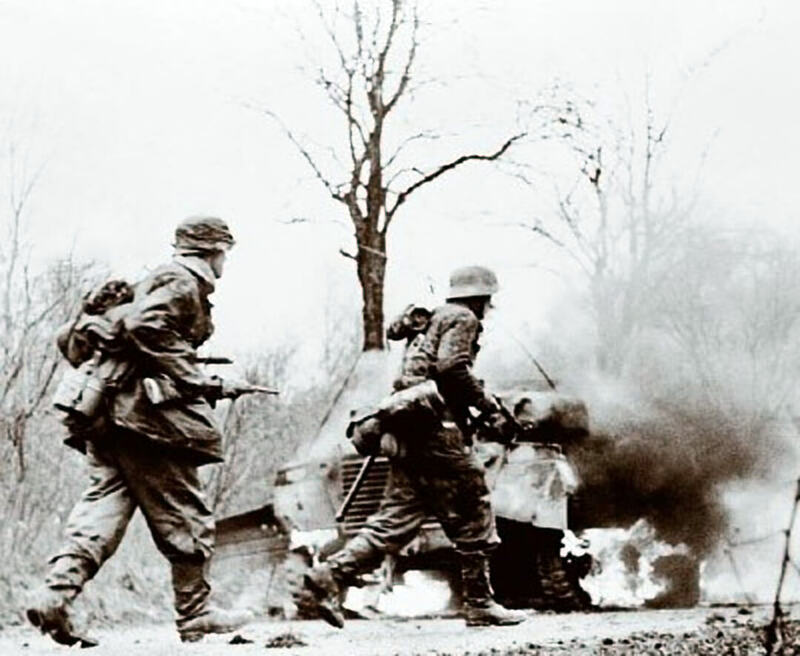 The German Blitzkrieg tactics had demonstrated how the use of fast moving tanks and armour meant non-combat and support troops could quickly be involved in fighting. It was proposed that this light rifle was needed as a weapon to replace the pistol and to be less restrictive than a standard rifle or sub machine gun. The proposed weapon was to be semi-automatic and would fire a new .30 cal round designed by Winchester, approved in early 1941. Winchester put forward a design for the new light rifle which beat competition from four other manufactures including designs by Colt and John Garand. The Winchester design was selected at the end of September 1941 and officially adopted as the US carbine, Calibre .30 M1. 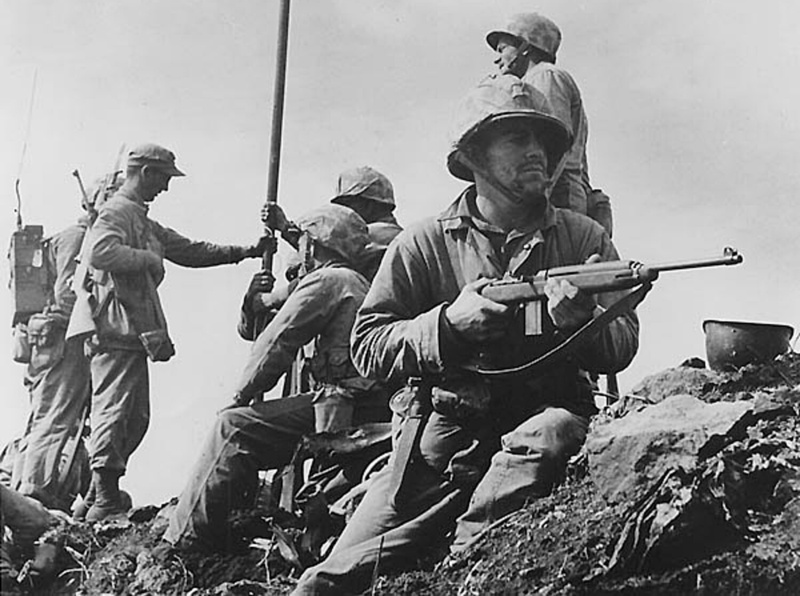 Production initially began on the new light rifle by Winchester and the Inland Division of General Motors, however the attack on Pearl Harbour on December 7, 1941 and the subsequent entry of the US into the war, lead to an urgent need for more weapons. 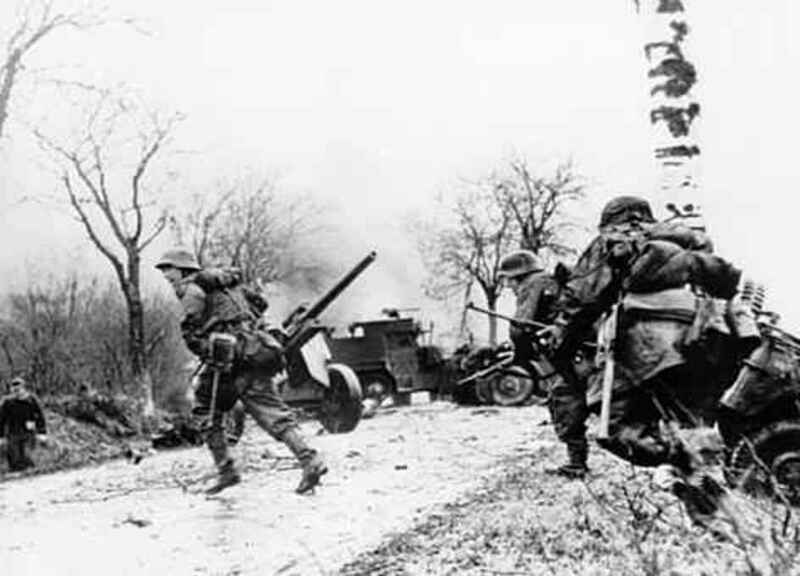 Since the number of rear echelon troops would always be higher than front line troops, the capacity of Inland and Winchester, was not deemed to be sufficient and in early 1942 production was handed out to another eight prime contractors. The M1 Garand would fire a cased cartridge that released a 174-grain .30 caliber, FMJ pointed-tip bullet at approximately 2,700 feet per second, for an effective range of roughly 600 yards. 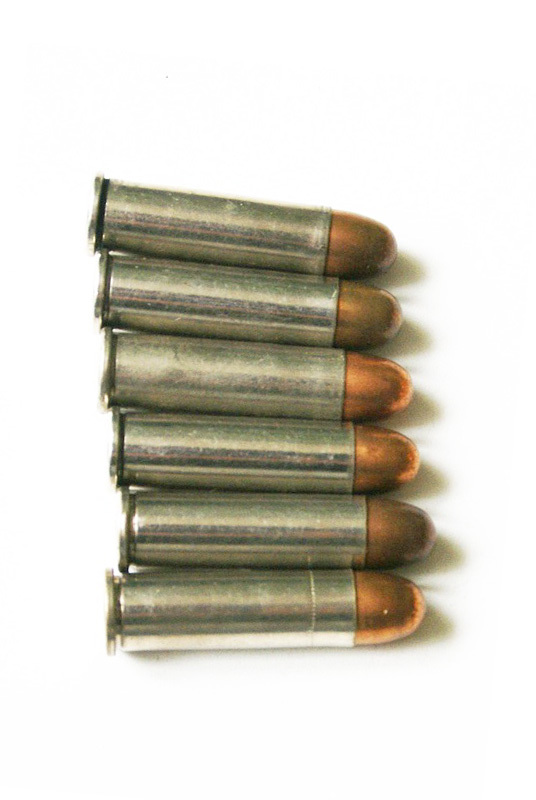 The M1 carbine’s .30 Carbine round was closer to a pistol cartridge, as it used a straight-walled case that released a 110-grain round-nosed FMJ bullet at 1,900 fps, giving it an effective range of around 300-yard. 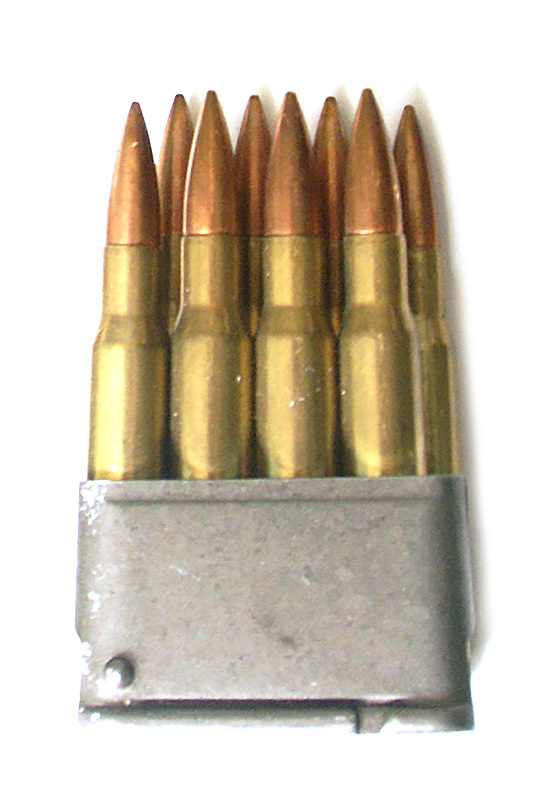 The Carbine utilised a detachable 15-round magazine that could be removed or reinserted at any time. After WWII a 30-round ‘banana’ magazine was developed, giving a higher capacity. Of the 6 million carbines made, approximately 140,00 of these were the M1A1 carbine. This was the more compact version of the gun with a folding stock specifically designed for paratroops. Manufactured only by the Inland Division in two General runs, both of approximately 70,000. Initially only issued to 101st and 82nd airborne units in late 1942, and given eventually to all airborne units and Marine Corps. 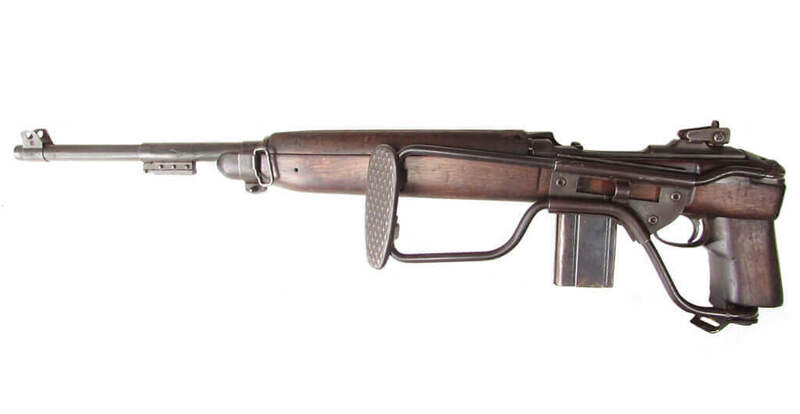 Although issue of the M1 carbine was intended for rear echelon personnel, as the war progressed, there was an increasing demand for front line weapons in the European and Pacific theatres. The carbine could be made in large numbers quickly and its use quickly spread to front-line soldiers. 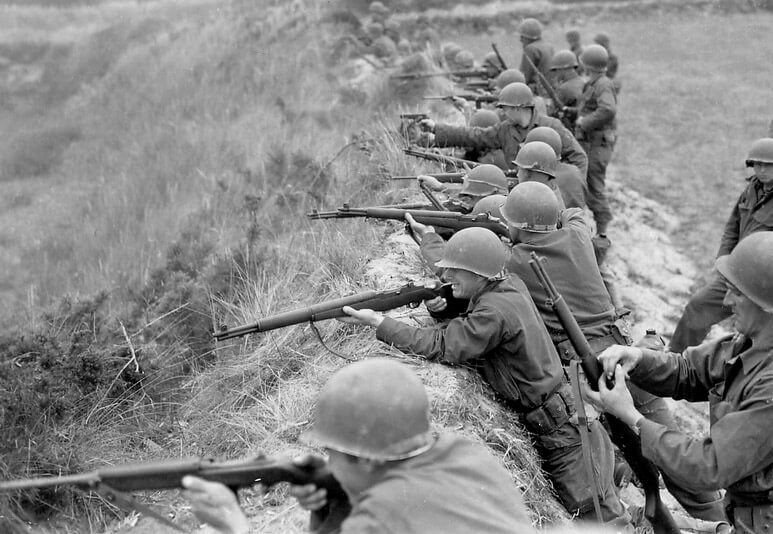 The M1 carbine was popular with the troops owing to its small size and light weight. 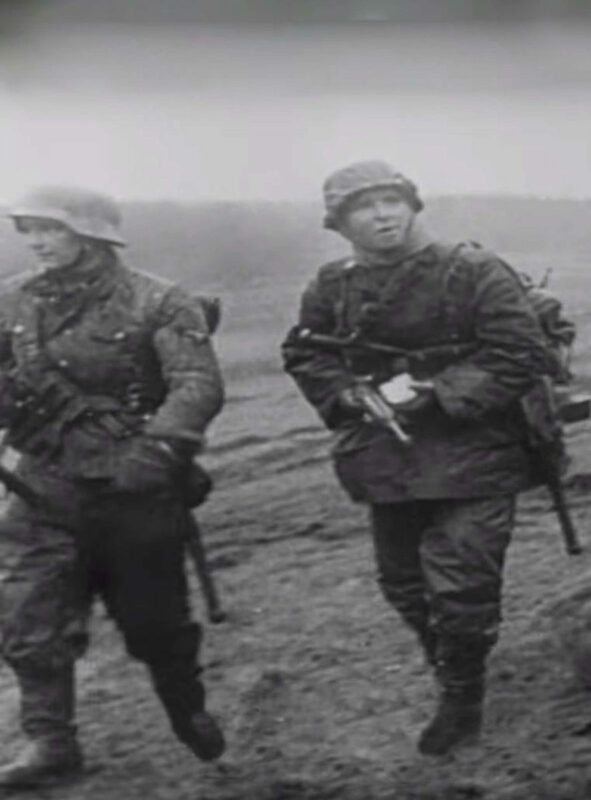 However, as the gun began to see more actual front line service, there were some complaints about the guns range and stopping power. Also, the early sights had no adjustment for windage leading to inaccuracy. 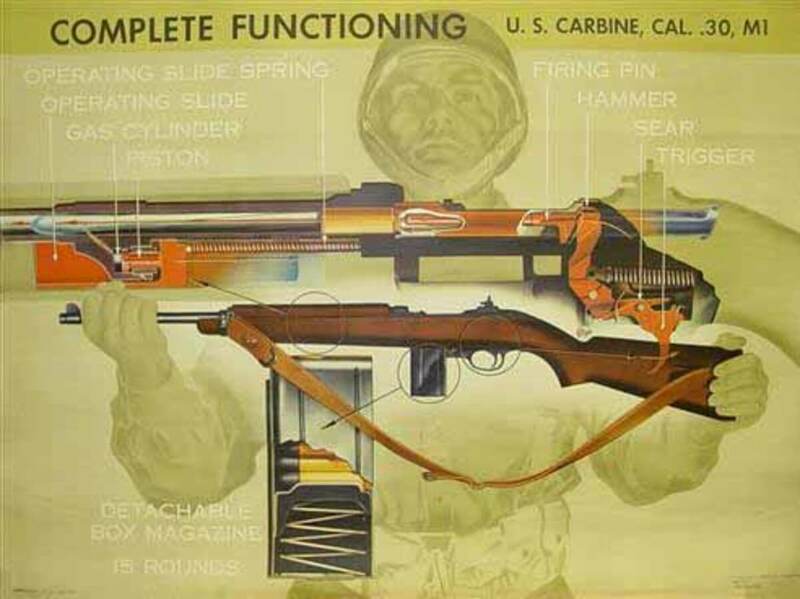 It must be remembered, that the M1 carbine was designed to augment existing US combat weapons and not as a replacement for the M1 Garand main battle rifle. 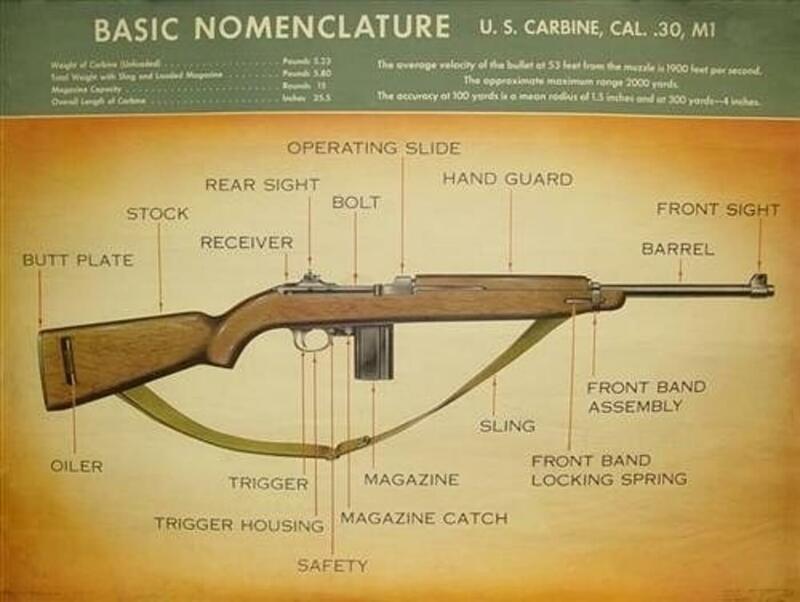 Also, the M1 carbine still did have many proponents and was the preferred weapon of many troops, with many GI’s stating the effectiveness of the weapon out to 200 yards. Interestingly captured M1 carbine popular with German troops and it was known officially at the Selbsladekarabiner 455(a). 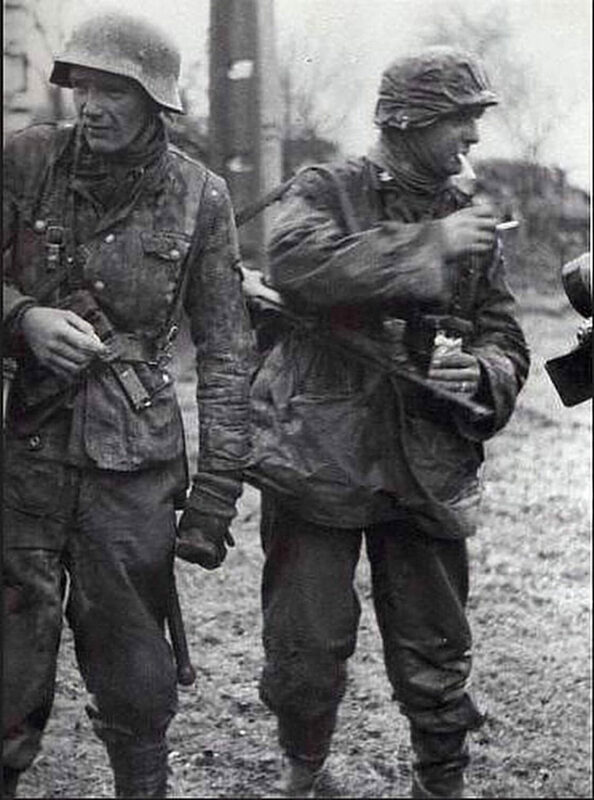 The following pictures are from a well know sequence shot near Poteau in the Ardennes, captured by the US 3rd Armoured Division, showing German Fallschirmjägers and SS Leibstandarte with a captured carbine. 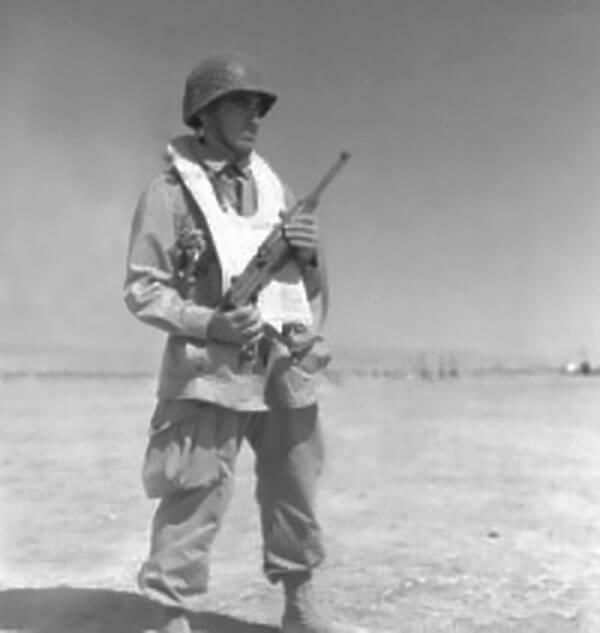 Towards the end of the war, the M1 carbine was upgraded to address some of the issue seen in combat. 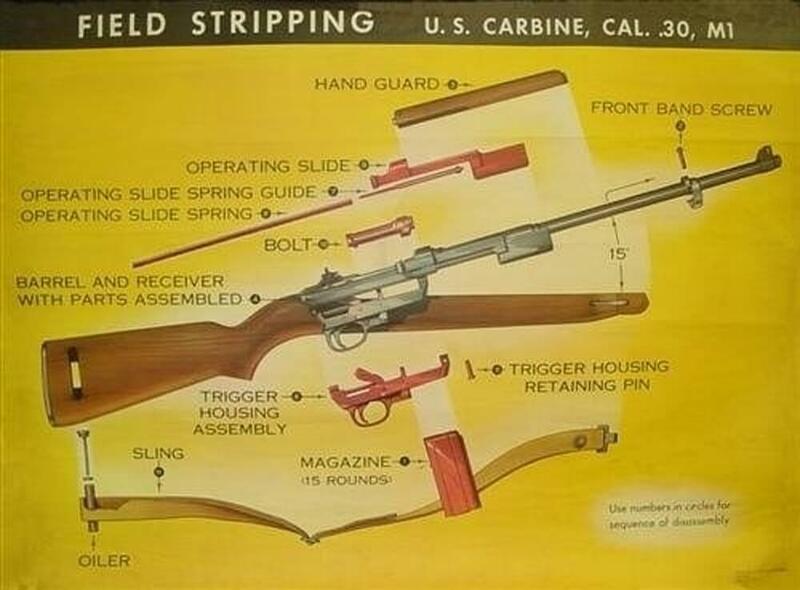 It had a bayonet to accommodate the M4 bayonet and also adjustable sights, to take into account range and windage. 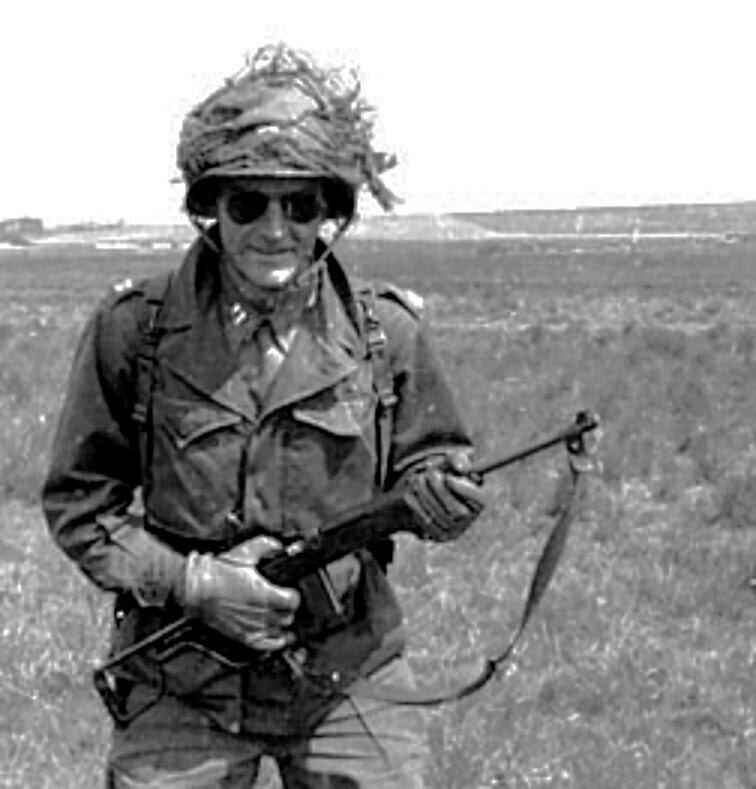 The M1 was also adapted to be capable of fully automatic fire by use of a selective fire switch. This officially became the M2 carbine, adopted in October 1944. By this stage only Winchester and Inland were still in production and so would be the only manufactures of the M2. 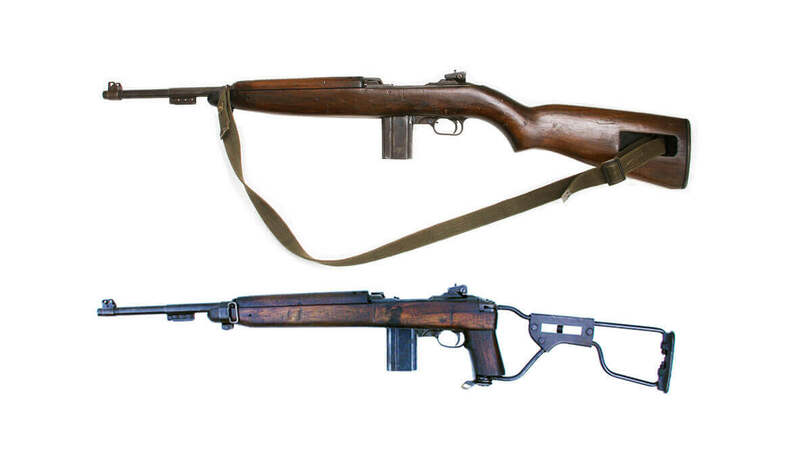 Many M1 carbines however were converted to fully automatic fire by use of conversion kits. 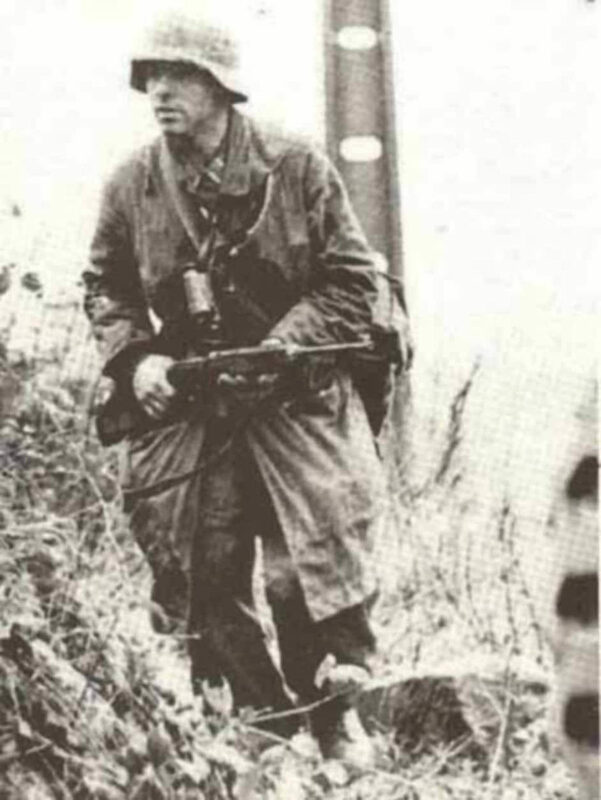 The M3 carbine was another variant of the carbine. This was basically an M2 fitted with an infrared night vision scope. 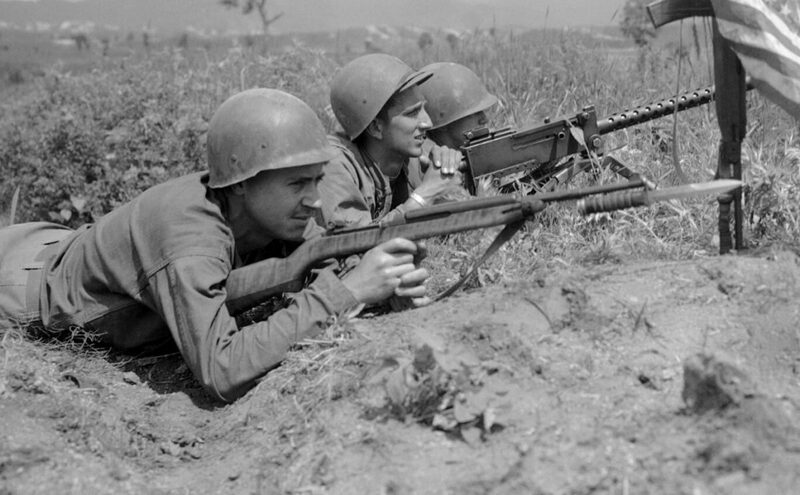 The M1 carbine continued to see active service by US forces in the Korean war (1950-53) and later in the Vietnam war. It was also exported for use by US allies such as South Korea. In Conclusion, it could be argued that with the design of this weapon, the US had effectively designed a weapon for the start of modern era. It was both suitable for mass production, reliable and light in weight, had selective fire and chambered for a smaller round accurate at close range, whereby it was realised most combat was conducted.